T5 Grow Lights For Cannabis – Which Ones Are The Best According To Our Review And Guide. It is never an easy task to pick out the best t5 grow lights for any indoor growing project, especially when it comes to growing cannabis. Hopefully our review guide will help. At the very basics the “T” in T5 stands for tubular and following that the 5 refers to the diameter being 5/8ths of an inch. The lengths of these lights will vary but the core is the same. Bigger grows mean longer lights, but we will get to that later to help you understand the importance of picking the best T5 grow light for your indoor specific grow operation. Their weight comes from the light fixtures themselves which also act as a built in ballast (in most cases). Typical T5 grow lights weigh anywhere between 8 to 35 pounds, however the incandescent bulbs are a you are probably aware very light (and fragile). As an indoor growing enthusiast I can see why farmers alike approve of the T5. For one, they are cheaper than LED grow lights. Second, they operate with little heat output. Which means they can sit just above your plants canopy. Third, they only use a fraction of what a typical HPS bulb uses in electricity. This is especially important in large scale grow warehouses where you will see stacked and daisy chained T5 grow bulbs everywhere. The T5’s has a heavy blue spectrum, but this does not seem to discourage growers from using them. In fact, they have been in use for years. You have probably smoked cannabis that was grown using some sort of T5 grow light if you have ever visited a dispensary. A decent red spectrum light is often used to indulge plants during the flowering stage as a fix for this issue. Many supplement the lack of red band spectrum with an HPS to help the blooms of their plants. With all the positives with a T5, it still might not be the right lamp for you if you are new to growing, where more intuitive full spectrum LED grow lights account for both red and blue spectrums (and many more) to help your plants grow indoors. I know when I started growing, switching out lights was not something I looked forward to, especially when a grow was confined in a small grow tent like the Mylar Mars 27 x 27 grow tent. If you decide the T5 is the right fit for your harvest, keep in mind there will more than likely be a need to purchase a light that offers red spectrum. Without the red, flowering will be near impossible. These lights also do not last as long as a 1000 watt LED grow light for example. Lasting only around 20,000 hours vs 50,000 hours on average for an LED lamp. An addition of purchasing a ballast might be necessary as well, although most T5’s built for growing come with a ballast built right in for convenience. 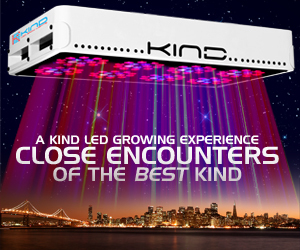 For growers who plant many crops at once the T5 grow light has its distinct advantages. Simply, the cost savings alone makes the T5 a contender as far as should I or shouldn’t I purchase a T5. The spectrum of this light is ideal for the vegetation phase of plant life growing. The lights can sit right on top of your seedlings without fear of burning them. This helps scour the plants with ample light making them grow faster, thus saving on electricity. That means a large boost to many plants at once during vegetation will result from using the T5. If you are only growing a couple of plants at once then an LED grow light might be the way to go. T5 lights also create 100 lumens per each watt used. This is far better than their predecessors such as the T12 grow light which is currently being phased out in the US anyway. In simple terms, the T5 produces far more light on less wattage as compared to a T8 or T12 grow light. The energy required to grow cannabis is around 60 to 65% less. This simply saves you money and helps the environment from less energy production. Q: What is the difference between 6400K, 6500K, 2700K or 3000K designation on grow bulbs? A: 6400k and 6500k refers to the blue-spectrum the bulbs produce. These are good for sprouting and vegetative stages and 2700K and 3000K includes red spectrum which is perfect for flowering stages in your plants. The “K” is refereeing to Kelvin which is a representation of the light output and not the heat of the light. If a 2700K or 3000K includes terminology such as “warm white” this simply means it does not include harsh blue spectrums. If you are not sure feel free to use a light meter to check the spectrum. Q: How Many T5 Lights are needed for my grow? Having enough T5 lights depends on the amount of room you have and how many plants you wish to grow using a T5 bulb. T5’s make it easy to figure out. If you have a grow space of 4 feet by 4 feet you will need a light of the same size as your grow area. Q: What should I consider if I choose a T5 light for growing? Do I have the right amount of room for my T5 light? How long of an extension cord do I need? Do I have a lamp that covers the flowering stage (red spectrum) to add to the grow room? Do I need a low heat solution for my grow room? Can I daisy chain the lights if I want to ramp things up? A lighting solution for your grow room depends on your needs. All growers have an opinion on which light is the best. For us we prefer LED grow lights for the cost effectiveness and simple full spectrum abilities. It is safe to say as you become more experienced with your indoor growing you should try out different lighting configurations and different products to not only get a feel for how the lights handle, but to also compare what works best for different types of plants.